Headphone Cable Length: 4' ft.
Review : Was fantastic, sound quality is good too. However, after a week, sound of one side of the ear piece faded... Am bringing the product back to the shop to ask if they can assist. 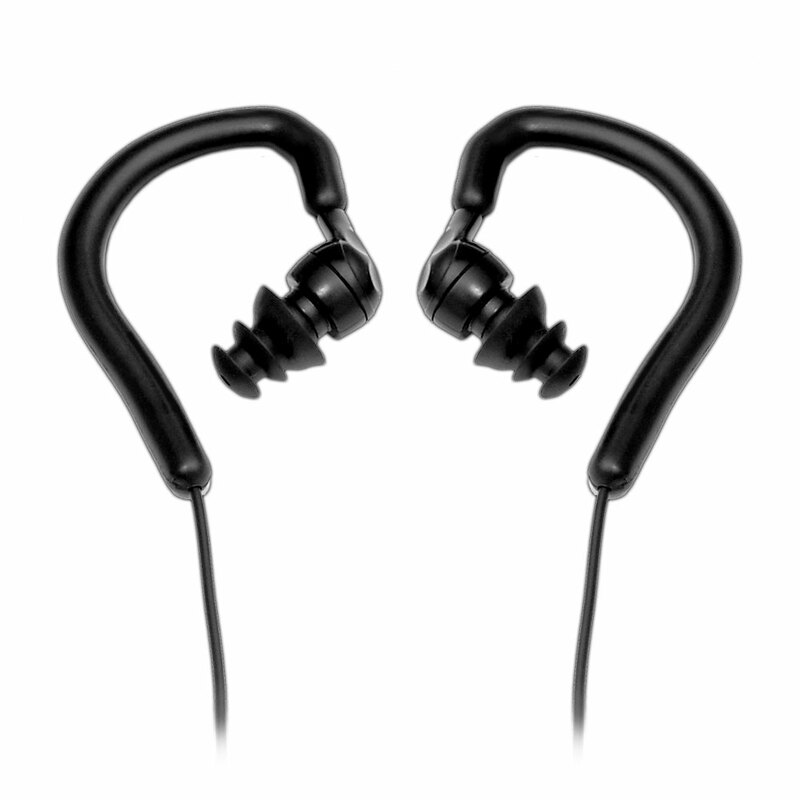 Review : After only one month of use my waterproof earphones hae lost sound in one earbud. Bend the wire and it comes and goes. I swim one mile 3 - 4 times per week. Review : These work great! Perfect for swimming and great sound quality. Review : Purchased the Pyle PWPE 10B earbuds and am absolutely loving them! It came with four different options in earbud sizes so that I was able to select the best fit and the triple flange design completely keeps the water out. Sound quality while I am swimming is awesome! Highly recommend the product to anyone that wants to swim to music. Review : I would like it if it were more sleek and were clear or had color options . Review : Just got them and used them in the water with the Waterfi iPod shuffle. Sound dropped in and out while swimming - no problems out of the water. Review : these headphones are amazing!!! riding with them on! Review : I just bought the Waterfi Ipod player, with Pyle Pro headphones. So far I am very happy with both products. I am hoping both are sturdy and well designed to stand up to the rigors they were intended for. Review : So far so good with your Pyle waterproof headphones. I am using them with a waterproof ipod shuffle for lap swimming. I removed the over-the-ear element because I foudn they tend to fall off my ears when swimming. But the earbuds themselves STAY PUT! Nice. Thanks! Review : Awesome product. These earphones fit my ears perfectly with amazing volume. I am just ready to try them out in the water and see how they do. Very surprised since the product was cheap compared to some of the other brands of waterproof earphones.